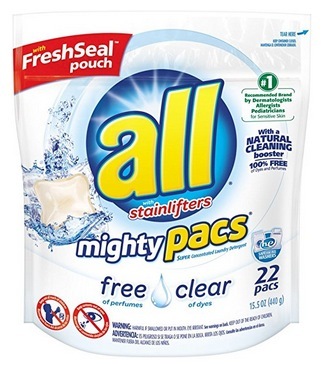 All Mighty Pacs Laundry Detergent (22 count) only $2.99! Amazon has this All Mighty Pacs Laundry Detergent (22 count) for only $2.99 right now – the lowest price on record! « Tag Springfield 5-Piece Luggage Set just $59.99 shipped!